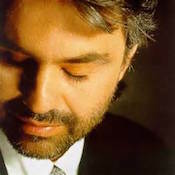 The world’s best selling tenor, Andrea Bocelli will perform June 10 at the Sleep Train Arena in Sacramento. His only Northern California appearance this tour. Do not think this will be an evening of just classical opera; he may be better known to some as a pop singer. He has recorded duets with Celine Dion (for the animated film Quest for Camelot), Sarah Brightman, Chris Botti, Christina Aguilera, Stevie Wonder, Katharine McPhee, Kenny G and other artist. This entry was posted in Concert, Road Trip, Sacramento on May 17, 2015 by GaryWiens. The Bay Area Printers’ Fair & Wayzgoose is coming to San Jose’s History Park on April 18, 2015 beginning at 10:00 AM. Print enthusiasts, students, educators, graphic designers, typophiles, artists, and printers will enjoy the demonstrations, tours, and array of vendors and exhibitors. All ages are welcome to this free event. Members from the San Jose Printers’ Guild will help visitors print keepsakes on several vintage presses from handset wood and metal type, and lead tours of a 1900s era print shop. Exhibitors and featured artists and craftsmen will demonstrate the skills related to printing and book arts, and show visitors how to set type and impress ink onto paper. Lunch will be available from a food truck on the grounds. Cold drinks and frozen treats will be available at O’Brien’s Candy Store & Ice Cream Parlor in the Pacific Hotel. Park for free on local streets or use the San Jose city parking lot on Phelan Ave. for $6. 00. Directions: Exit Highway 280 at 10th St., then go south on 10th., left on Keyes St., right on Senter Rd., left on Phelan Ave. History San Jose is ahead on left; visitor parking lot ($6) is straight ahead at end of Phelan Ave. This entry was posted in Event, Family, Free, San Jose on April 17, 2015 by GaryWiens. 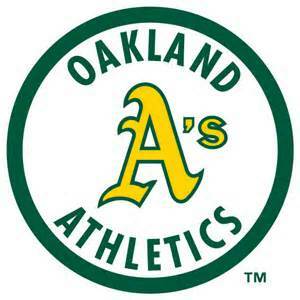 The A’s and Giants get their Spring Training games underway when they face off against each other Tuesday 12:05 pm PST . The A’s will have a new infield group and the Giants are aiming for another Fall parade. We wish both teams all the best. This entry was posted in Baseball on March 2, 2015 by GaryWiens. Wishing you a wonderful holiday season together with your family and friends as well as a happy New Year! 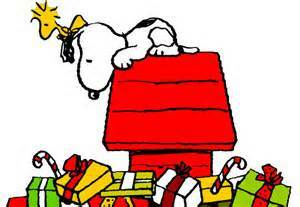 This entry was posted in BAS, Holiday on December 25, 2014 by GaryWiens. Vote for your favorite Shark to attend the All-Star Game. This entry was posted in San Jose Sharks on December 13, 2014 by GaryWiens. Josh Donaldson and Yoenis Céspedes will participate in the 2014 Home Run Derby. Céspedes is the 2013 Home Run Derby champion. A’s third-base coach Mike Gallego will pitch to Céspedes. The 2014 Home Run Derby is Monday, July 14 on ESPN TV and ESPN Radio at 5:00 PM. The 2014 Home Run Derby will have a new format, which features a maximum of seven outs per round and bracketed play after the first round. The player who hits the most home runs in each League in the first round will automatically receive a bye to the third round (Semi-Finals). The next two players from each league with the most home runs will square off against one another in a head-to-head matchup in the second round. The winners of these matchups will advance to the third round to face-off against their league’s top seed. The final round will feature the winners of the A.L. and N.L. Semi-Finals matchups going head-to-head for the 2014 championship. UPDATE: Yoenis Céspedes wins 2014 Home Run Derby with 28 homers. This entry was posted in Baseball, Sports on July 13, 2014 by GaryWiens.